Institutional investors exercised considerable restraint in the calendar year 2017, a far cry from 2015 and 2016, when access to early-stage funding was abundant. Consequently, early-stage startups that looked to raise their seed rounds did not have it easy as previous years saw many well-funded tech startups shut shop, without providing investors with any exit opportunities. This made early-stage investors even more cautious than last year. Early-stage investments in 2017 halved to 435 from 901 in 2016, provisional data from VCCEdge, the research platform of News Corp VCCircle, showed. The data included both seed and angel investments. Total funding dipped to nearly $245 million, from $373.59 million the previous year. Fewer deals may not necessarily indicate negative trend in the startup ecosystem. Only those firms with some element of differentiation and innovation in their business models may have caught the fancy of investors. “VCs have raised new funds. [But] investors have become selective. I don’t see it as a problem. We had a period of exuberance in 2015 and its effects were there in 2016, too. 2017 brought some sanity,” Kris Gopalakrishnan, co-founder of software services firm Infosys, had told VCCircle in an earlier interaction. Gopalakrishnan, who is an active startup investor through his VC fund Axilor Ventures, is also a member of Indian Angel network, which is an active early-stage investor. But the slowdown trend did not stop some institutional investors from making investments. Based on provisional data available from VCCEdge, the most active institutional seed investor was Venture Catalysts* followed by the Indian Angel Network and Kae Capital. 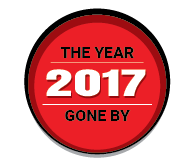 The data collated here reflects only those deals that have been reported in calendar year 2017. Topping the list is Mumbai-based Venture Catalysts, a funding and incubation platform, which made a total of 14 disclosed investments this year. However, a spokesperson from the investment platform told VCCircle that it made a total of 23 seed deals in 2017, out of which six are undisclosed and three will be announced soon. “India, as a start-up nation, is at an inflection point. The entire ecosystem is poised on the brink of a major transformation. HNIs from Tier 2 and 3 cities are becoming increasingly involved within the entrepreneurial landscape as angel investors, closely mirroring the startup investment trends in the US. Only 3% of US citizens were investing in startups in 1980. The numbers increased to 49% by 1999. This was the time when many unicorns including Amazon emerged in the US,” said Apoorv Ranjan Sharma, co-founder and president of Venture Catalysts, in a statement. Venture Catalysts typically invests between $100,000 and $500,000 in early-stage startups. It currently operates in seven cities—Delhi, Mumbai, Bengaluru, Kolkata, Lucknow, Raipur and Surat. The investment platform was founded by Dr Sharma, Anil Jain, Anuj Golecha, and Gaurav Jain in December 2015. Its most recent investments include online gifting company IGP.com, specialised cuisine startup The Bohri Kitchen, identity management platform ERA, energy drinks startup FYRE, fin-tech startup HomeCapital, and video content discovery platform Flickstree. 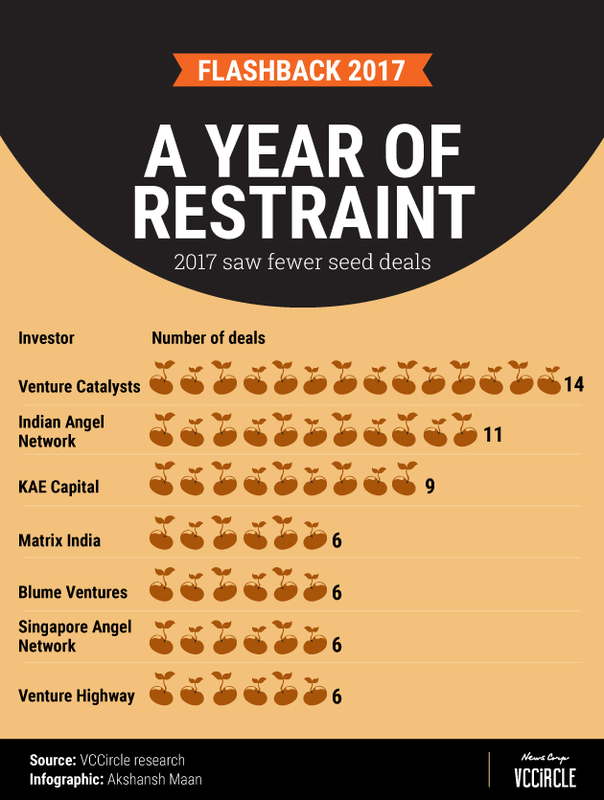 Indian Angel Network made 11 startup investments this year versus 44 deals in 2016. IAN, which comprises as many as 450 investors across 10 countries, attained the first close of its eponymous Rs 350-crore IAN Fund at Rs 175 crore (around $27 million) in April. Some of its investments during the year include online hiring startup Skillenza, cold chain monitoring startup TagBox, anti-fraud solutions startup Thirdwatch, curated city and lifestyle guide Little Black Book, smart wheelchair maker Arcatron Mobility, agri-tech startup FarMart, and mobile parking technology startup Get My Parking. IAN also scored some exits this year. In June, some IAN investors got a partial/complete exit from quick service restaurant chain Wow! Momo Foods Pvt. Ltd at a return of 106% from their initial investment. The QSR chain had raised Rs 44 crore (around $6.8 million) in a Series B round from mid-market private equity firm Lighthouse Advisors India, which paved way for the exit. In September, Pune-based software company Sapience Analytics secured funds from Credit Suisse Asset Management’s NEXT Investors. The investment saw IAN exit its seven-year-old investment, thus giving NEXT majority stake in the software firm. Mumbai-based early-stage venture capital firms Kae Capital and Venture Catalysts were tied at the second spot with nine seed level deals each. 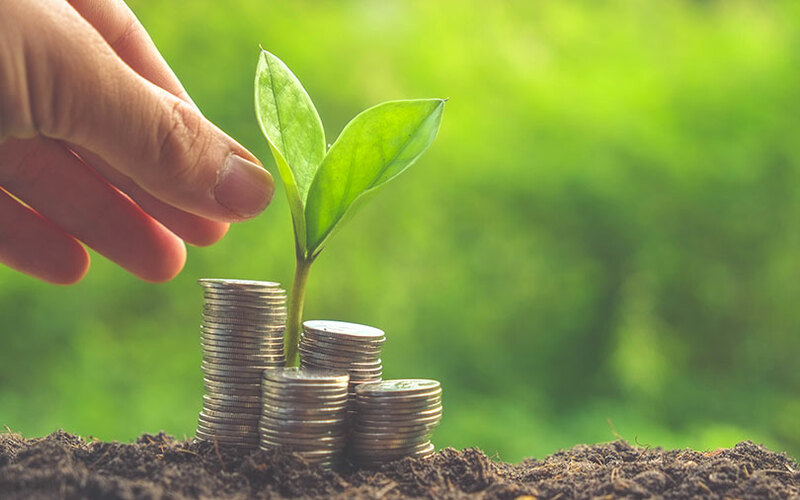 Kae Capital’s most recent bets at the seed stage include fantasy sports platform HalaPlay, online consumer lending platform CrediFiable, predictive health-tech startup Touchkin, Bangalore-based gaming startup Hypernova Interactive, lending platform LoanTap, and fin-tech startup Trupay. In September this year, it also marked the final close of its second fund at $53 million (Rs 339 crore), surpassing its target of $50 million. Matrix Partners India, Blume Ventures, Singapore Angel Network and Venture Highway made a total of six seed level investments each. Matrix Partners India, which has Rs 4,500 crore assets under management, recently invested in student accommodation platform Stanza Living, agricultural technology startup Gobasco, Bengaluru-based B2B travel-tech startup Itilite, Bangalore-based logistics tech startup Loadshare Networks Private Limited, and video sharing app Clip. The multi-stage global private investment firm opened its third office in India, in the national capital Delhi, to double down on the region’s startup ecosystem. Matrix India is also an investor in two Indian unicorns, Ola and Quikr. In February this year, Matrix sold its entire stake in hospital chain Cloudnine. The Mumbai-based early-stage investment firm’s recent bets this year include Little Black Book, co-working startup BHIVE, loyalty rewards app mPaani, energy management startup Zenatix Solutions, after-sales car service provider Pitstop, pre-owned cars platform Spinny, software-as-a-service startup SquadRun, and cloud computing platform Minjar among others. Blume Ventures, which marked the final close of its second fund late last year, is set to hit the road for its third fund in January-March next year. It will continue to be a specialist for seed, angel and pre-Series A deals even with the third fund. The network’s 2017 bets include legal tech startup Spotdraft, budget hotel aggregator Vista Rooms, viral content platform WittyFeed, real estate tech startup FalconBrick, grocery retailer iOrderFresh, and design firm Glue Design. Singapore Angel Network (SGAN) is the angel investment arm of the Thakral Group of Companies, which is based in Singapore. The group’s businesses span consumer electronics, computers, IT services, real estate, hospitality, logistics, manufacturing of yarn, and export and retail of branded garments and accessories. Delhi-based Venture Highway recently invested in property tech startup BuildSupply, customer engagement platform Original4sure, organic farming platform Farmizen, fin-tech startup Perpule, resellers marketplace Meesho, property-tech startup BuildSupply, and enterprise security startup ShieldSquare. Venture Highway is an early-stage fund founded in 2010 by former Google executive Samir Sood. Neeraj Arora, global business head at instant messaging app WhatsApp. *The article has been updated to include revised deal data from Venture Catalysts.